I see you, you know. Potato couching in front of the TV, you’re not even watching your favourite show anymore. Admit it, you’ve got the munchies. Instead of admiring Don Cheadle with a tie knotted around his, you know, the kind of TV moment that should grab you by the, you know, all you can think about is: Do we have chips? 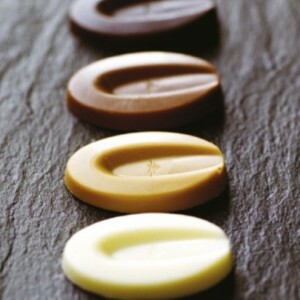 Do we have chocolate? Do we have chocolate chips? In your omniscient, food-obsessed mind, as the TV flickers uselessly in front of your glazed zombie eyes, you’re reviewing the pantry contents shelf by shelf. You can barely remember the value of pi (the mathematical one, anything about actual pie, you’ve got down pat), but you know every forbidden food that hides behind the whole-wheat bread and organic peanut butter jar you strategically place in front. Quite the house of lies you live in, n’est-ce pas? I get it, the fact you tuck bags of Cheetos at the back is on a need to know basis only. 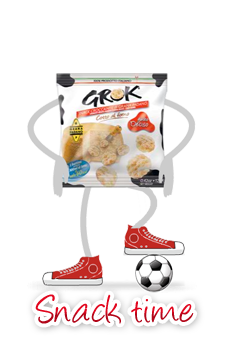 A product of Italy, Grok’s name is a contraction of Grana Padano and OK. Which you’ll be when you slip one into your gaping maw. Because at 60 calories per 12-g pouch — that’s because they’re oven baked and don’t have any of that corn syrup or white flour American snack manufacturers would sneak in by rote —, you can actually feel good about slipping them in the kids’ lunchbox or your happy trail packsack. See, I’m still giving you the benefit of the doubt here that you train to burn off those midnight snackeroos. 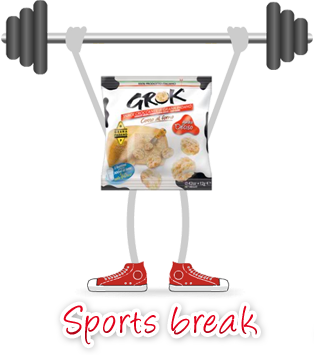 Also sold in 100-g bags, Grok can even serve as a quick appetizer to treat friends. Careful though, they’re addictive. 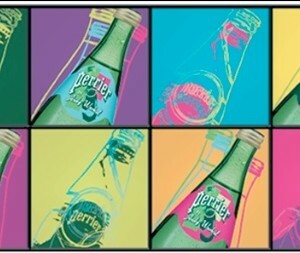 Dangerously addictive. But you don’t care, hey, as you slink back to the TV room, tear into a bag and enjoy an evening without junk. If you exclude Don Cheadle’s, that is.